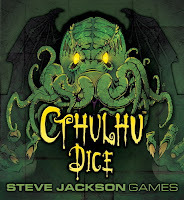 Cthulhu Dice lets you drive your rivals mad . . . very, very quickly. Introduced in six new colors: Sparkly Green, Copper, Swirly Pink, Ice Blue, Ichor Green, and Gold Pearl. 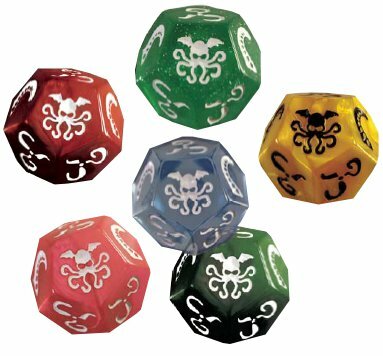 Additionally, eighteen Sanity marbles are included. Lose all your marbles and you're mad. The last sane cultist wins . . . unless everyone goes mad together. 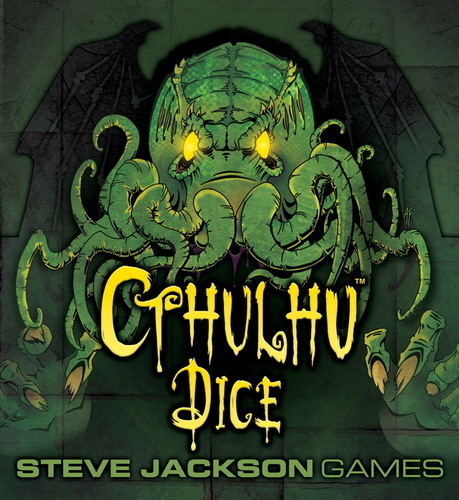 Then Cthulhu wins! You are dwarves digging for gold in the depths of a mine. Suddenly, a pick-axe breaks and the light from the lantern goes out. The saboteur has struck again - but which of your fellow players is a saboteur? 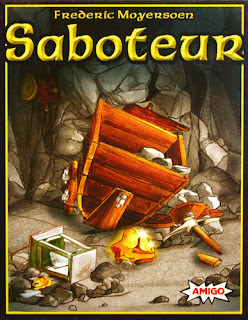 Will you find the gold or will the saboteur's sinister actions be successful? After three rounds, the player with the most gold nuggets wins the game!